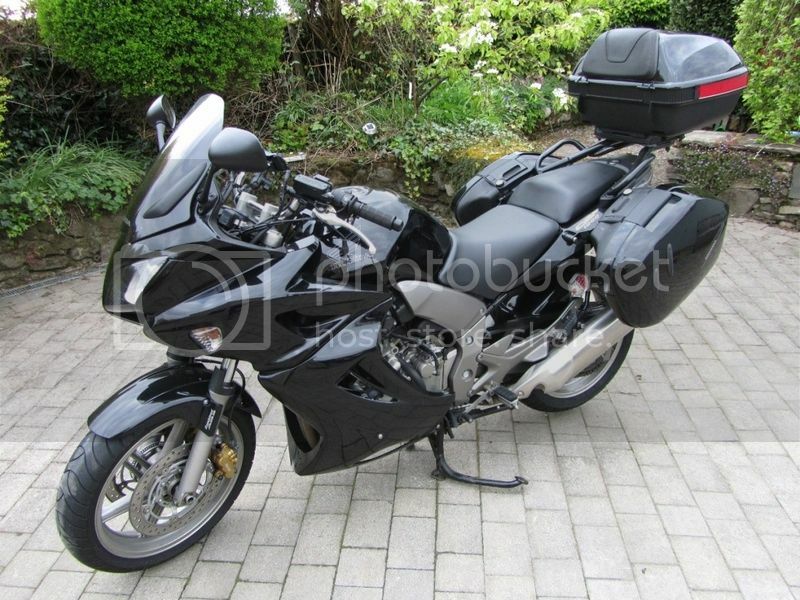 - Black with Honda top box and panniers plus Honda pannier liners. - Rear hugger and fender extender. - All in excellent condition. A great companion for your Scottish and European touring this year. 2 previous owners. Lady owner since Dec 2009. Very reluctant sale, but two small children now, so my lovely CBF needs a new owner and the opportunity to ride the open roads again.